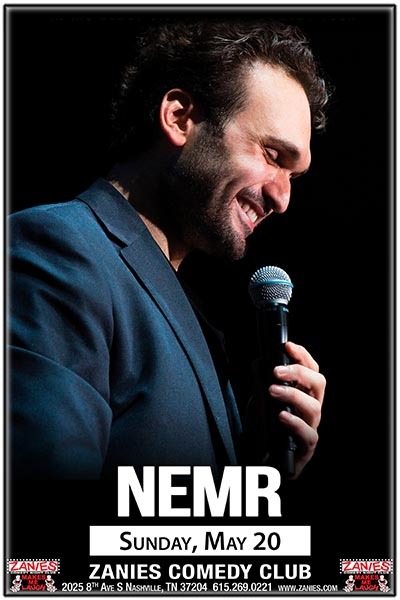 Nemr is a Lebanese/American Stand-Up Comedian who is credited with establishing and pioneering the stand-up comedy scene throughout the Middle East where he performs in English. Nemr grew up in San Diego and then moved back with his family to Lebanon. He went on to break down barriers and unite people in a region where bombing on stage can have a completely different meaning. As an accomplished stand-up comic with eight full feature shows, it’s no wonder Nemr’s second world tour, ‘Love Isn’t the Answer’, was met with unprecedented success, selling out across the globe from every major city in the U.S. to Europe and across the Middle East. His second international tour became the second global comedy event to successfully stretch from the US to the Middle East, with crowds of up to 6,000 people at every show. The first global comedy event to achieve this milestone was, simply, Nemr’s first world tour. That global event was captured in his hit comedy special, ‘No Bombing in Beirut’, which was filmed in both Lebanon and Los Angeles, and premiered on Showtime, and is now available worldwide. Nemr also has numerous television credits from major networks in the Middle East, has been seen on CNN, was a guest on BBC HARDTalk, and appeared on ‘The Nightly Show with Larry Wilmore’. He has also released two feature specials as cinematic experiences and had his own prime time TV show. In May of 2014 he was featured on the cover of Rolling Stone magazine (Middle East) solidifying Nemr’s legacy as the biggest name in stand up in the region. And in between, you can catch Nemr in his new hit weekly podcast, ‘The Very Funny Podcast’.